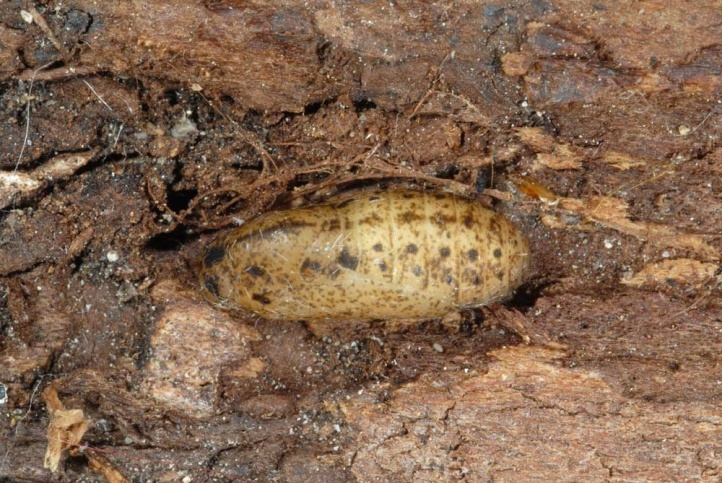 The larva feeds on Fabaceae, especially Colutea, Phaseolus, Pisum and broom species. 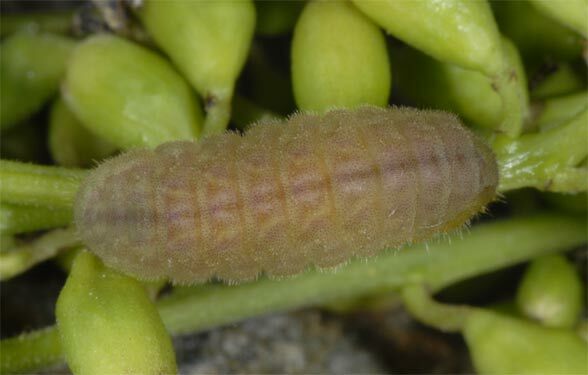 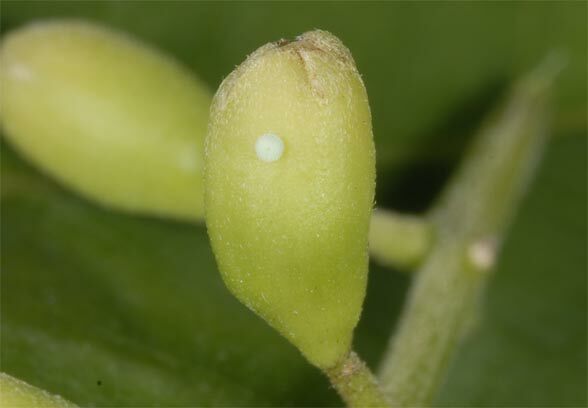 The caterpillar eats especially unripe fruits. 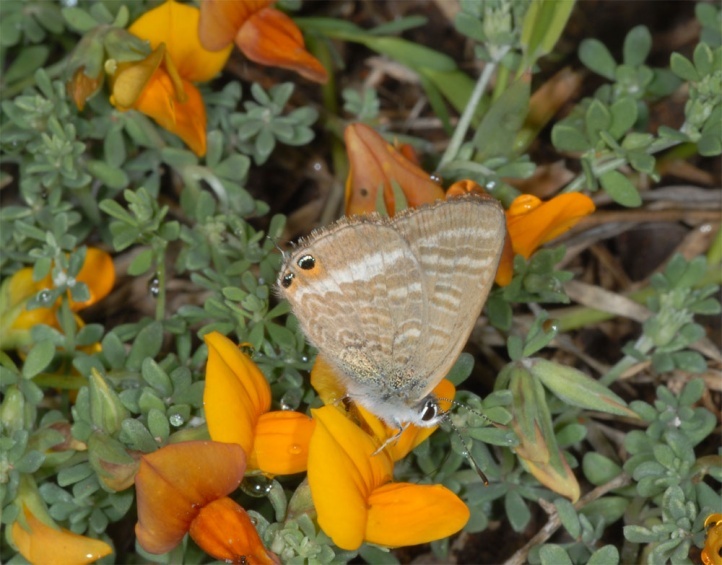 Lampides boeticus inhabits various habitats in the more open landscape such as gardens with legumes, ruderal areas or hot scrub. 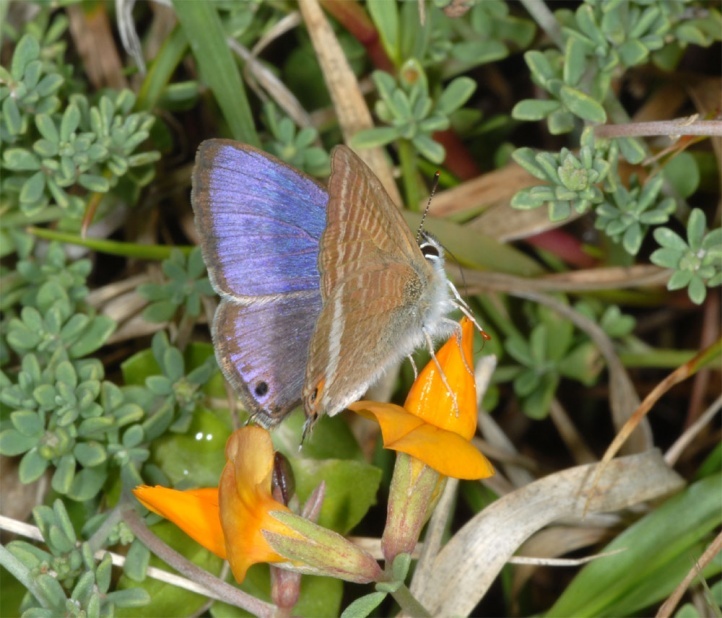 I observed numerous butterflies in Crete in beans beds and singly butterflies in Fuerteventura in February 2007 in barrancos with at least some fresher vegetation. 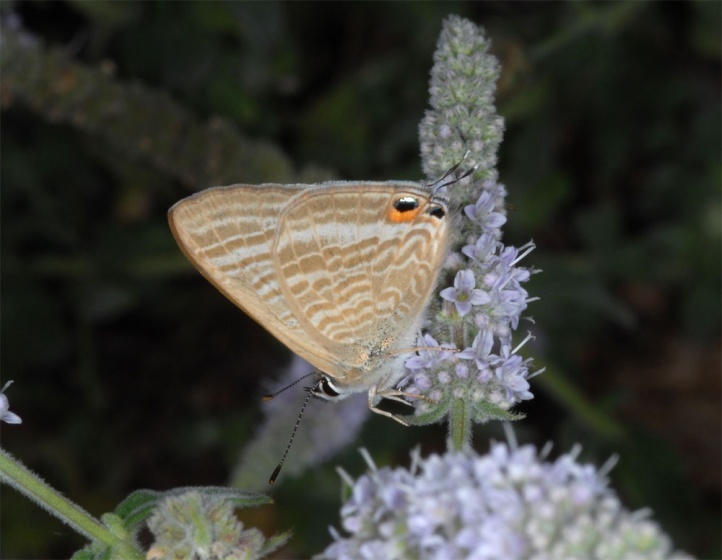 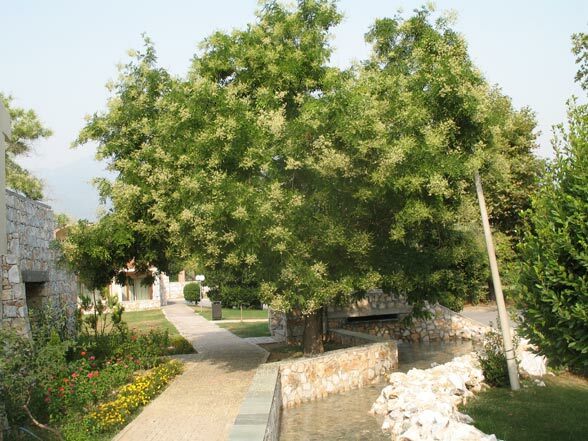 At the foot of Mount Olympus (Greece), Lampides boeticus populated together with numerous Leptotes Pirithous an isolated tree of Sophora japonica (Fabaceae) in a hotel complex at sea level, where the eggs were laid in mid-July 2007 at the calyx of flower buds. 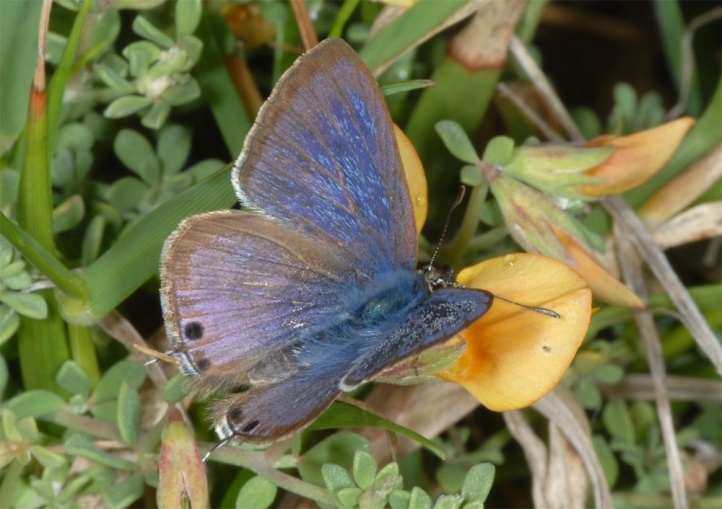 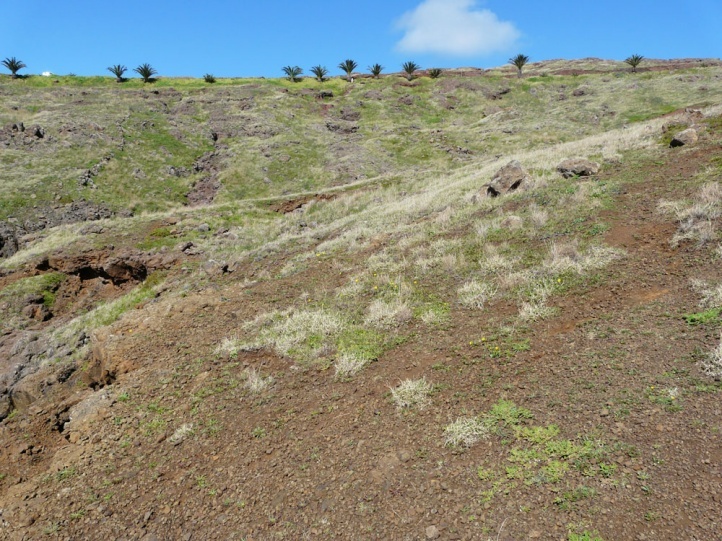 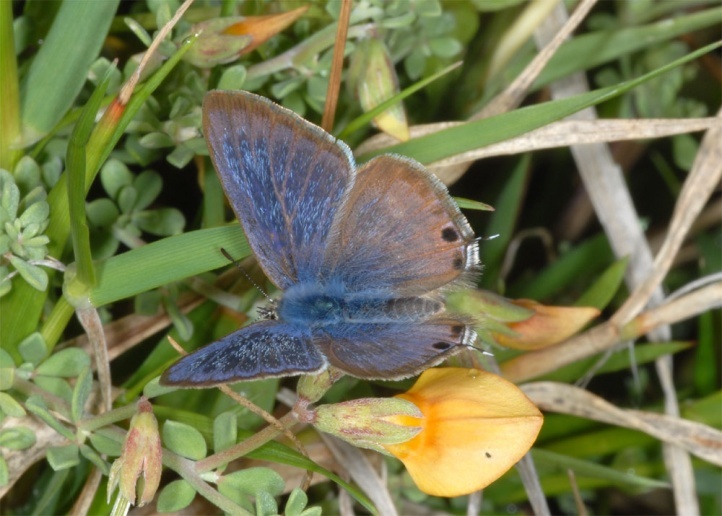 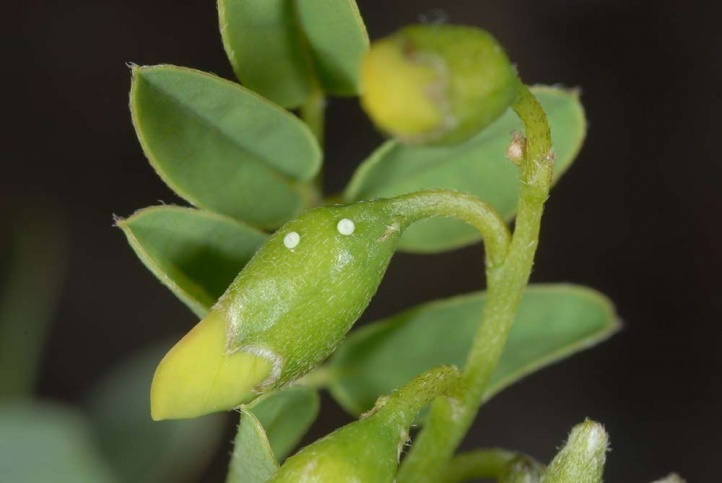 On Madeira, I observed oviposition on grassy slopes at the coast on Lotus glaucus (March 2013). 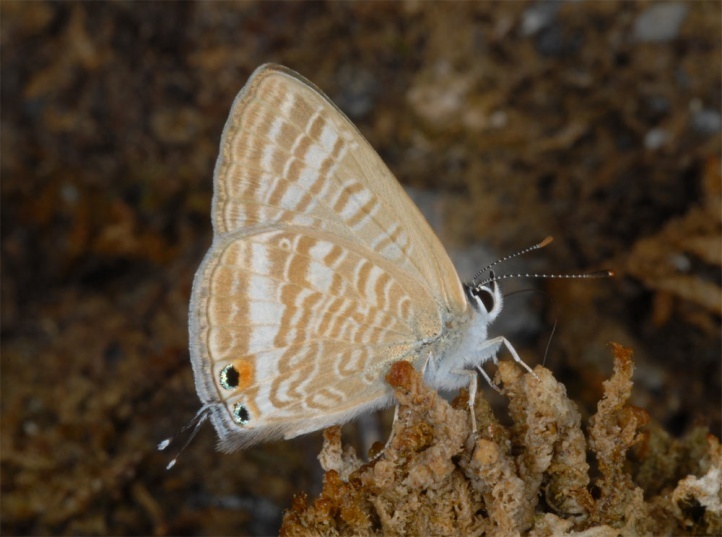 Lampides boeticus is observed throughout the year in the tropics and subtropics. 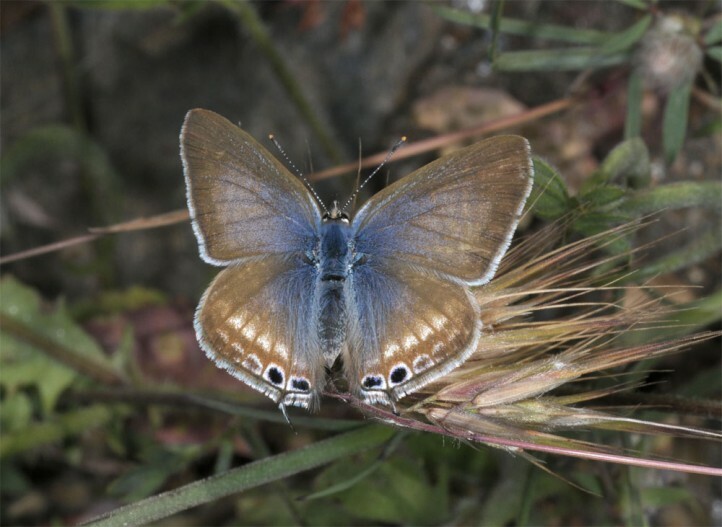 In southern Europe it usually occurs from the spring to October. 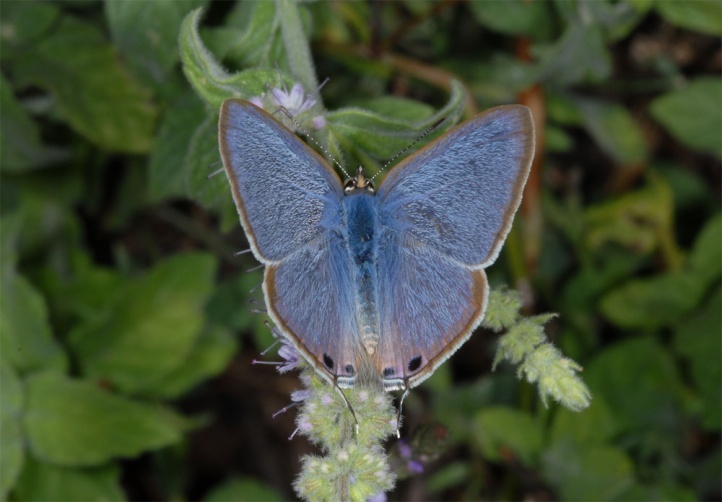 It appears in Central Europe only as rare migrant butterfly in the summer and early autumn. 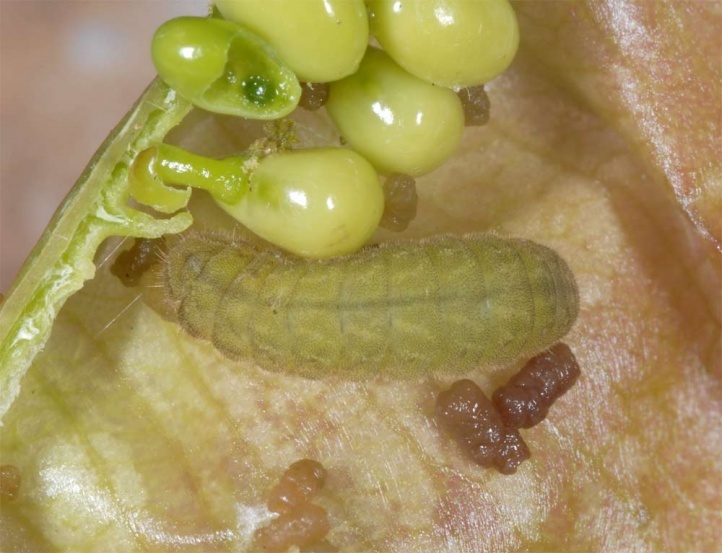 The caterpillar is much more adapted to a endophytic life than L. pirithous: it is pale and hardly found outside of the flowers/fruits. 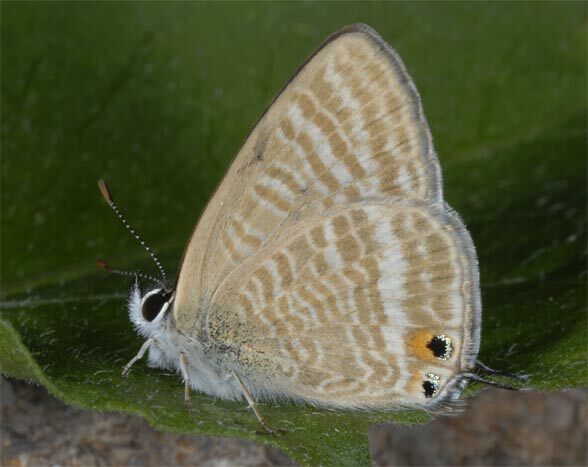 In Europe, Lampides boeticus is a migrant butterfly of the Old World tropics and Subtropics, which is probably permanently occurring only in the Canary Islands and in the southernmost regions, as well as the islands such as Rhodes and Crete, but migrates further to the north. 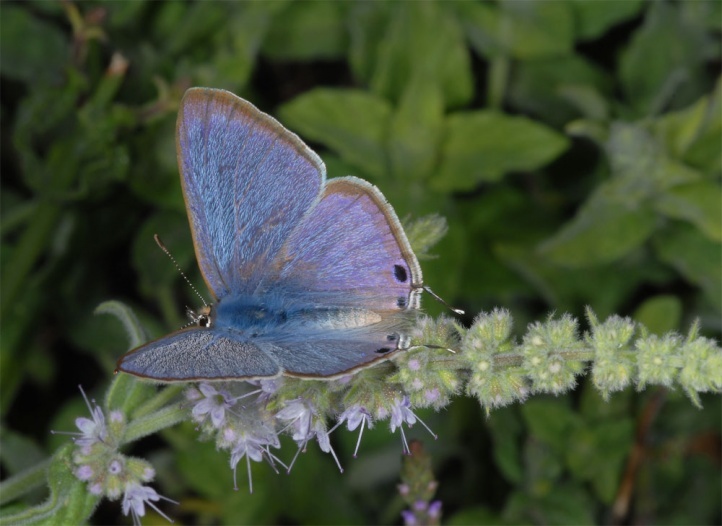 It is probably able to survive mild winters south of the Alps.